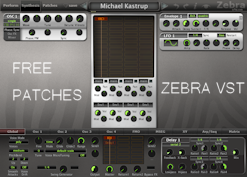 74 various free patches for Zebra VST. 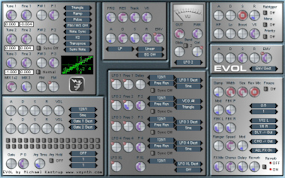 Contains demo patches from various soundset i've made available for Zebra VST. A Chorus with personality and full of vintage flavour. 45 MB, 166 various sounds for creating machinery ambience. 7 Categories, each with its own MIDI channel. This file is hosted over at Propellerheads site in the free refills section. © XSYNTH 2004-2013 - All Rights Reserved.